To the uninitiated, the word Linux is synonymous with open source. This is because Linux, an open source OS had rose to prominence. This is marked as one of the most important event of the free and open source revolution. OSes built on the Linux kernel run a huge chunk of today’s computing world. It’s been 24 years since Linux kernel first emerged in a Minix newsgroup on Usenet. It popped as a post from a 21 year old programmer from Finland, who went by the name Linus Torvalds. He was building a “free operating system” which was just to be a “hobby”. According to him the OS he built wouldn’t be “big and professional like GNU”. Today the Linux kernel has over 19.5 million lines of source code, powers 97% of all supercomputers in the world. Among the innumerate applications that use Linux, nuclear submarines controls, air traffic control systems, the Japanese bullet train operation are a few. Linux also powers over a billion smartphones and embedded devices. But what made it so popular? How did the Linux kernel achieve such large adoption? To answer this question, you must research the history of Linux. Somewhere along the way, you will stumble upon a document, called the Cathedral and the Bazaar. This document, written by Eric Raymond, explores the reasons behind the rapid and widespread development and the subsequent adoption of the Linux kernel. Linux on the other hand, resembled something that came out of a loud, noisy and an unorganised bazaar. Linux opened its doors to anyone who wanted to contribute to the project. Everyone came with a different approach and agendas, and they came in huge numbers. How could a coherent and stable system ever emerge from such an environment? 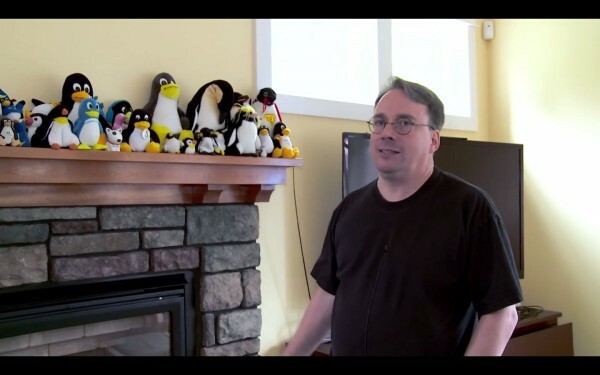 While Linus Torvalds’ true innovation lies in community building, motivation and resource marshalling. Building a production quality OS kernel from scratch is no easy job. Even to this day, Linus has the most number of commits to the Linux project. This allowed Linus to position himself as a universally accepted gatekeeper of for the Linux project, where he could give the project direction, and exercise his legendary community building and management skills. In the beginning, many of the Linux kernel’s functionalities, like task switching, used exclusive features of the Intel 386 processor. This meant that the Linux kernel couldn’t be used on any other piece of hardware. This was one of the arguments Andrew Tanenbaum, the creator of Minix, used when he called Linux obsolete. While the open source development model ensured that the Linux kernel was ported to all other major hardware platforms, the Intel x86 series of processors soon became widely used by PCs and servers, ensuring the relevance of the Linux kernel. By 1994, Linux had stepped out of its infancy and the Linux developer community had begun to leverage the internet to make the world its talent pool. This time period also saw the growth of the ISP industry and that gave rise to large scale adoption of the internet. The internet became cheaper and easier to access and more developers were online, which helped the community grow. But more importantly, it gave Linus a vast and effective communication and collaboration channel. Today, 80% of Linux kernel developers are paid. However, in the early days of Linux, the story was very different. They were mostly volunteers. And volunteer motivation relies mainly on satisfying their egos. Linus nurtured enough interest in the Linux project that hackers got an ego boost by contributing to it. Furthermore, he connected the developers’ selfish motives and channeled it to result in sustained corporation, that ensured rapid and cohesive growth of the project. While the open source method is a great way to build and develop software, it might not be the best way to create one. There must be a project founder, who floats an idea to a developer community. The community must find the hack interesting and believe that it has potential to be something great. From there on, the founder must continue to nurture interest in it, till it reaches a point of self sustenance. At the end of the day, it’s all about the hack. By 1991, there were quite a few endeavors towards making a free and open source operating system. Richard Stallman was working on the GNU project, but the Kernel that powered it, HURD, failed to attract interest from other developers. UC Berkeley built the Berklee software distribution or BSD, which was built from UNIX. But, BSD contained UNIX code that was owned by AT&T, and the company filed a lawsuit against the University of California for it. And then there was Tanenbaum’s MINIX OS – its source code was available, but you couldn’t modify and redistribute it. All this, made a 21 year old in Finland want his own, free and open source operating system. And that, is how Linux came into existence. Raghu is an engineering grad handles Marketing at HackerEarth. Prior to this, he was an editor at YourStory.com. When he’s not working, you can find him at the nearest music shop having a jam session.